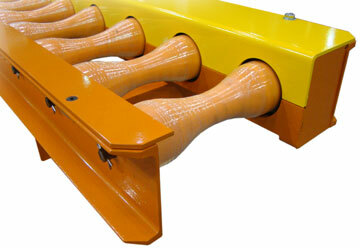 This specialty conveyor was utilized in an oil industry manufacturing operation. Due to space considerations in the facility, the client needed to locate pipe cutting operations outside. 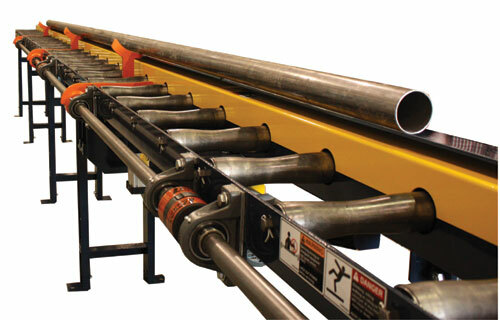 A conveyor that could handle heavy pipes easily and safely was needed. 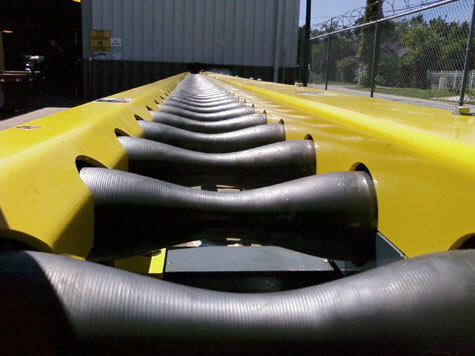 We offer a variety of pipe and tube conveying equipment. 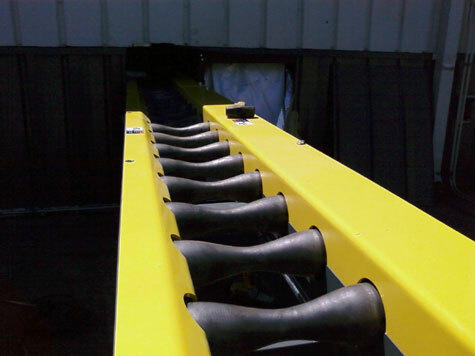 To accommodate a broad range of pipe diameters and lengths, a "trough" style conveyor with "bow tie" rollers was utilized. Pipes roll onto the conveyor from a storage rack. The saw operator reverses the pipe into the saw, cuts it to length, then conveys it out of the saw area and into the facility where a series of gravity conveyors take it to staging. 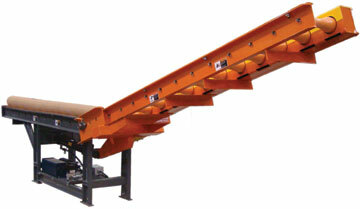 This conveyor is suited for both indoor and outdoor utilization, and manufactured to withstand harsh environments. 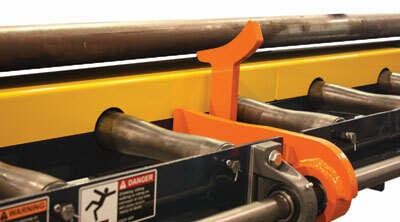 Below is a conveyor using the bowtie roller design and a pipe lifting mechanism.